Premise acceptability is conceptually connected to presumption. To say that a premise is acceptable just when there is a presumption in its favor is to give a first approximation to this connection. A number of popular principles of presumption suggest that whether there is a presumption for a premise, belief, or claim depends on the sources which vouch for it. Sources consist of internal belief-generating mechanisms and external testimony. Alvin Plantinga's notion of warrant lays down four conditions upon a source for the belief which it generates to be warranted. We argue that there is a presumption for a premise, belief, or claim if and only if there is a presumption of warrant for that premise,belief or claim. This amounts to the thesis that there is a presumption for a belief from a challenger's point of view if and only if there is a presumption from that person's point of view that her cognitive faculties which have generated the belief have been functioning properly, in an appropriate cognitive environment, in accord with a segment of her design plan aimed at the truth, and that these faculties are reliable. 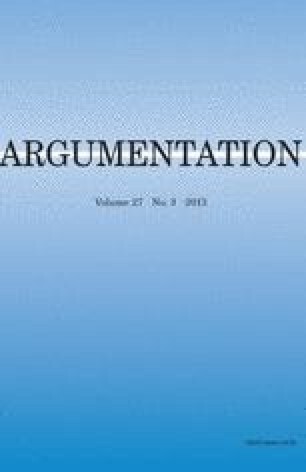 In light of our argument for this thesis, we may legitimately claim that one way to determine that there is a presumption for a belief is to determine that there is a presumption of warrant for that belief, and thus that in determining whether there is a presumption for a belief or premise, we may consider the source. 1.Department of PhilosophyHunter College of the City University of New YorkU.S.A.